~ The womb is not a place to store fear and pain. In this workshop we will step into a ceremony for us, for Mother Earth and for our daughters to come. We open up for a deep healing within us...and to reclaim our ancient wisdom of the sacred womb. The Munay Ki Rites are 9 energetic Initiations from the Inca Tradition. The Rites of the Munay-Ki transform and upgrade your luminous energy field. This Rite activates the healing for issues concerning our wounded feminine side! ~ Die Gebärmutter ist kein Ort, Angst und Schmerz zu speichern. Der Ritus des weiblichen Schoßes. Wir werden durch die Zeremonie einen Schritt für uns selbst, für Mutter Erde und für unsere Töchter gehen. Wir öffnen uns für eine tiefe Heilung in uns und fordern unsere alte Weisheit des heiligen Schosses zurück. Die Munay-Ki sind 9 energetische Riten aus der Inka Tradition, die uns helfen, Werkzeuge des Friedens und Mittel zur Veränderung und Transformation zu werden. 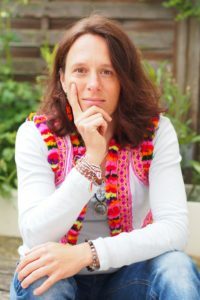 Annette Assmy learned from The Four Winds Society, by Dr. Alberto Villoldo (http://thefourwinds.com) and she is certified in Luminous Healing and Energy Medicine. Since November 2014 she is learning directly from the peruvian shamans, so called Paqos at the Serena Anchanchu School in Holland (http://www.incashamanism.com). She is initiated by them as a Pampa Mesayok; Keeper of the earth. Since 2013 she is giving Energy Healing Sessions and making group seminars (The Rite of the Womb and Munay-Ki etc. ).